Heat steamers work using water vapor and heat. They open your hair cuticles up, allowing for a deeper penetration of water and conditioner for the ultimate moisture in naturally curly or coily hair. It's important to do this on a regular basis--anywhere from every 2 weeks to once a month, depending on your hair's porosity. Besides allowing your deep conditioner to work better and its moisturizing properties to last longer, did you know that a hair steamer could also help you achieve the color results you've always wanted? The fine water vapors give your hair a better opportunity of absorbing chemical and color processing for better, longer-lasting results. Next time you are performing your routine at-home touch up, try this. Your hooded hair steamer (try the popular Huetiful Hair Steamer). After applying your hair color as normal, carefully place both plastic caps or bags over your hair to trap in moisture and encourage even more heat for the color to penetrate into (and essentially, stain) your hair. Make sure to cover your entire head securely. The steam will allow the hair color to process much faster than foil or nothing at all. Do not use mineral or regular tap water in your steamer, as the deposits can make the hooded steamer ineffective in functioning by causing excess build-up. 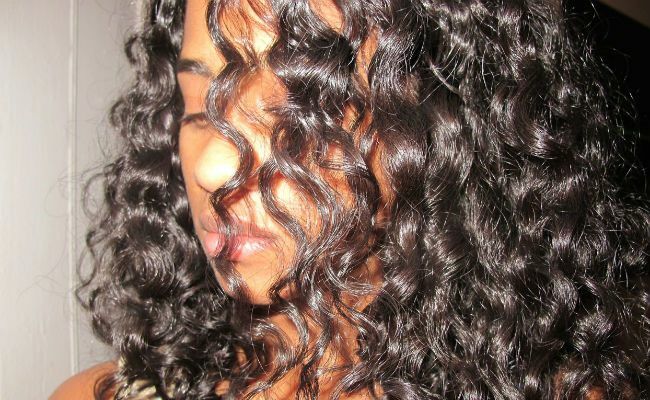 Some curlies like to wrap a wet, warm washcloth around their hairlines to seal even more heat in and moisture in. While the baggying method works well to improve length retention and curl softness, it is more likely to cause friction in the hair unless you have deep conditioned a day or two prior to starting the coloring process. A Huetiful is a great option for this process because it will help revitalize your scalp after following up with a cleansing conditioner. Try SheaMoisture Superfruit Complex 10-in-1 Renewal System Conditioner for being both moisturizing to color-treated hair and preventing fading from hair color. It contains an "ozone feature", which converts into ozonated steam that protects the scalp but also speeds up coloring time.